Today in this post I will tell you how you can activate and deactivate DND on your mobile number. 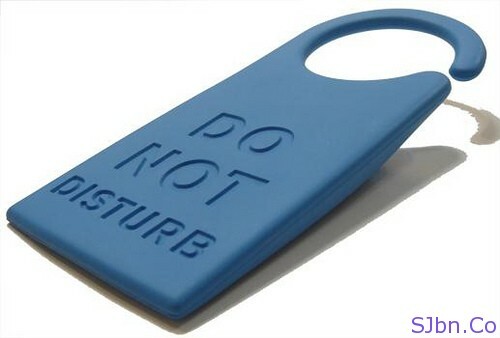 If you are many promotion Calls and SMSs on your mobile number and wont to stop those massages you need to active DND (Do Not Disturb) on your mobile number. So here are two ways by which you can active or deactivate DND on your mobile number. If you fully want to active DND on your mobile number phone just send an SMS “START DND” to “1909” or you can also call “1909” and if you can want to fully deactivate (stop) DND, you just need to send an SMS “STOP DND” to “1909” or you can call to “1909”. If you want to active or deactivate DND for more than one industry, so you can stop or start receiving Calls and SMSs from those industries, you don’t need to send SMS as many SMS, in as many industries you are interested in. For e.g. : If you are interested in Education and Health so you can simply send a SMS “START 3,4” to “1909” and you have already active Real Estate, Education and Health, now you want to stop receiving Calls and SMSs from Real Estate and Health simply send a SMS “STOP 2,4” to “1909” and you will not receive any Calls or SMSs from them. All SMS and Calls to 1909 is toll free, you will be not charged anything for this number. If you want to conform if your DND got activate or not click here and read. If you have any question or problem let me know. Realy u r very good person . I read all u blog it is very nice . The most imp. Thing is u wirting stile and u leguvich i love this. Bye. And keep it up. Previous Previous post: Do You Bother Or Care Or Someone Unfollow You On Twitter?